BALTIMORE -- A judge explained why he found Officer Caesar Goodson not guilty in the death of Freddie Gray, a 25-year-old black man whose neck was broken on the way to the station: He didn't see any evidence of a crime. Baltimore Judge Barry Williams ruled Thursday that the state failed to prove the police driver committed murder, manslaughter, assault, reckless endangerment or misconduct in office. "There has been no evidence that this defendant intended for a crime to happen," Williams said. "The state had a duty to show the defendant corruptly failed in his duty, not just made a mistake." Goodson's acquittal is the worst blow yet to efforts to hold police accountable in a case that triggered riots in the troubled city. The state's third failure to convict also casts doubt on whether any of the six indicted officers will be found guilty. Baltimore's police union president, Gene Ryan, called on State's Attorney Marilyn Mosby to reconsider her "malicious prosecution," since he's certain the remaining officers also will be found without guilt. 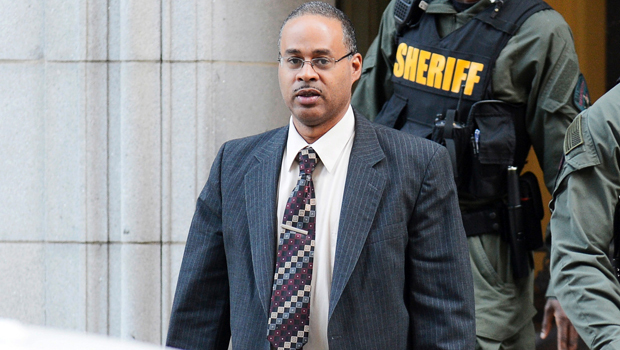 Doug Colbert, a law professor at the University of Maryland, has attended all three trials. "It means that convicting a police officer in this country is an exceedingly rare event," Colbert told CBS News Justice and Homeland Security correspondent Jeff Pegues. "It also means there is a great deal of empathy and understanding of the police officer and much less of the people who find themselves suffering injuries and in this case losing their lives." Throughout the legal proceedings, prosecutors' tactics have been maligned, CBS News correspondent Jeff Pegues reports. In December, Officer William Porter walked free after a hung jury. Last month in another bench trial, Williams found Officer Edward Nero not guilty. Both officers faced lesser charges than Goodson. At the start of Goodson's trial earlier this month, Williams scolded prosecutors for failing to turn evidence over to the defense about another prisoner in the transport van with Gray. On Thursday, Mayor Stephanie Rawlings-Blake said in a statement posted to Twitter that Goodson still faces a police administrative review. "We once again ask the citizens to be patient and to allow the entire process to come to a conclusion," she said. Her likely successor, State Sen. Catherine Pugh, pleaded for patience. Baltimore prosecutor: "We got to the right result"
Goodson was the only one of the six officers charged in Gray's death to be accused of murder. Gray was arrested April 12, 2015, after running from an officer on bike patrol outside a public housing project. A neighbor's video showed him handcuffed behind his back and hoisted into Goodson's van, which made six stops on his odyssey to the nearby station house. The violence following Gray's death a week later forced Maryland to bring in the National Guard. Rawlings-Blake fired the police commissioner and then abandoned her re-election campaign. The Justice Department is formally investigating allegations of widespread police abuse.